Netbook with Business Ambitions.Even if it's not actually obvious in the mini-notebook's name, HP has put the Mini 5101 among the models their SMB range. Be that as it may, it wouldn't really be distinguished from other current consumer netbooks by its specifications, if it wasn't for one enticing detail: A 10.1 inch LED HD display with a resolution of 1366x766 pixels and that in a matt edition. Interested? Businessmen don’t use netbooks. Sure, all-day battery life would be nice for those long flights. They do fit awfully nice in most briefcases, too. And the Intel Atom is more than enough for Firefox, Excel and Skype. But the humble netbook has always been plagued by an image problem. Any number of slimmer, sexier or longer-lasting netbooks might step up if you're less concerned with durability, but for road warriors, the Mini 5101 is just what the CEO ordered. Overall, the battery adds a little bit of extra weight, but the HP Mini 5101 gains from a huge improvement in battery life. Not surprisingly, the battery life was the one weak spot of the HP mini range, but at least with the 5101, an extended battery will lift its rather measly 3hr and 28mins light-use battery life to a far more satisfying 7hrs 19mins. Simply put, the HP Mini 5101 is one of the best netbooks I’ve used in nearly 2 years of covering mini-laptops. There are faster machines out there, but none with a 10 inch display and Intel Atom processor. And you could create your own PC with a speedier storage system buy replacing your netbook hard drive with a solid state disk. But that takes more money and technical know-how than purchasing an HP Mini 5101 with a 7200rpm hard drive for $400 to $425. HP's Mini 5101 is another stylish netbook let down by poor battery life. HP takes a second stab at the netbook with the Mini 5101. Is this the best portable corporate computer you can buy? HP's second netbook is the best one we’ve yet seen for design and build, and the high resolution display is another highlight. However, unimpressive battery life and high cost take the shine of an otherwise first-rate machine. HP has followed up its very good line of netbooks with a great one. The Mini 5101 is nice size, is built well, has a usable keyboard, and gets a performance boost. The battery life is very good (not the best out there though) and while there is a price premium for all this, it’s not that much. Starting at about $399 means that there are cheaper options, but if you demand a bit more of your netbook than most people, you want to use it as a primary mobile device, or you plan on using it for business then that premium won’t seem like much at all. If you start upgrading the system it can get expensive (say you throw in the HD display option, and a larger hard drive, or maybe an SSD) but the right build will leave buyers with one of the best netbooks on the market right now. 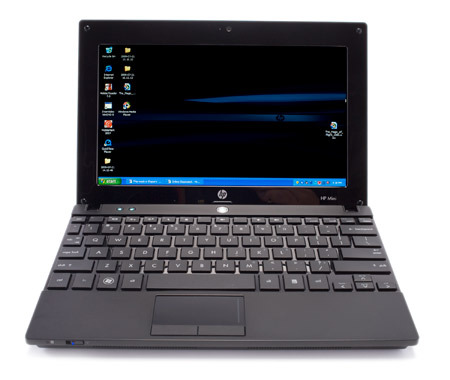 HP's Mini 5101 is the successor to the very popular 2140 netbook. This netbook sports an all black look and a switch to a mixed aluminum and magnesium alloy chassis with a soft rubberized coating that gives it an extremely durable feel. HP continues their superb keyboard layout with a new isolated key layout that is still very comfortable to use. It would have been nice to see them continue to include an ExpressCard slot like the older 2140 but it isn't too missed. The Mini 5101 continues their trend as the best business netbook maker. Love ’em or hate ’em, there’s no denying that netbooks are a trend to be reckoned with. In fact, these compact, affordable computing and communications companions could account for 17 percent of total notebook unit volume in 2009, according to market-research firm Displaybank, up from 11 percent in 2008. As with other netbooks, the HP Mini 5101 won’t replace your primary PC. It doesn’t have the power for heavy lifting like image- or video-editing. But if you need a take-anywhere Web/e-mail companion that can also be used for light office duty and presentations, the Mini 5101 has all the power and features you’ll need along with a design appropriate for business. In the continuing evolution of the netbook, each successive generation has rapidly improved the shortcomings of the last. The HP Mini 5101 leapfrogs to the front of the line thanks to a roomier keyboard, very good battery life, and improved performance (compared with other netbooks, at least). 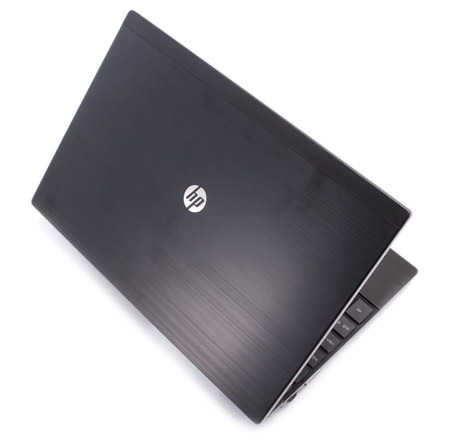 HP has also designed in durability and connectivity features that make the Mini 5101 more suitable for business users than most other netbooks, while holding the line on price: The Mini 5101 starts at $399, and our tested configuration is priced at a reasonable $425. The HP Mini 5101 delivers long battery life and slightly improved performance, which puts it on the top of the netbook heap. When we heard that HP was making some big changes to its small business Netbook, we were worried. After all, the current version--the Mini 2140--is probably our all-time favorite Netbook, thanks to an innovative keyboard (since adopted by HP's consumer Netbooks), full ExpressCard slot, and solid metal construction. HP's biz-minded Mini 5101 is a successor to the Mini 2140 (one of our all-time favorite Netbooks). It looks and feels great, but for a premium-price Netbook, we expect to get more features, not fewer. HP pioneered the notion of transforming a netbook into a corporate raider. The idea seems like a budget-conscious no-brainer now, but 18 months ago the HP 2133 Mini-Note was a wolf pack of one. Since then, the netbook market has evolved - and so have HP's entries in it. The HP Mini 5101 is a smart update, with slickly styled lines, a batch of business-ready apps, and finally a serviceable touchpad. Until <st1:country-region w:st="on"><st1:place w:st="on">UK</st1:place></st1:country-region> pricing is known, it's difficult to offer a definitive verdict on the HP Mini 5101, but it's fair to say that HP has succeeded in delivering a smarter netbook. HP's Business-based netbook grows up--and introduces some long-overdue improvements. So how much would you pay for this machine? The Mini 5101 starts at $399 and maxes out at $599. As the price goes up, HP stacks on larger hard-disk (or solid-state) drives and more RAM. Once we've completed our testing of the Mini 5101, we'll give you a full update and a final score. In the meantime, it's safe to say HP has succeeded in delivering a smarter netbook. 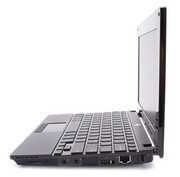 This business-friendly netbook offers excellent performance in a durable and attractive design. In the price-competitive world of netbooks, $425 is a lot to pay for a system whose battery life falls an hour and a half short of those that cost $75 less. 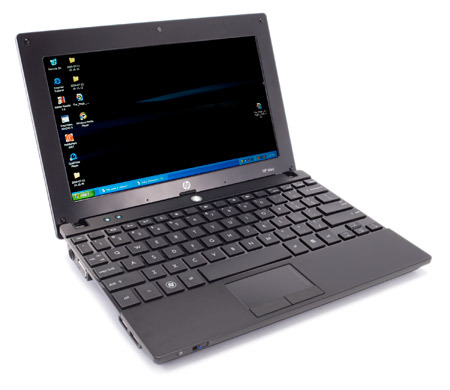 However, in the Mini 5101, HP gets a lot of things right: its business-rugged design makes this netbook more durable than consumer-focused systems, and its performance is better than the majority of the netbooks on the market. It also has convenient security tools. Road warriors looking for a netbook that can withstand being jostled around would do well to consider the HP Mini 5101. HP is hot on the heels of Acer for the top spot in the netbook category. But let's not kid ourselves: Even though HP is very aggressive in pricing, the current Mini 1000 and even the newest Mini 110 (1030us) haven't been able to keep up with the latest netbook trends. Their 92-percent keyboards are dwarfed by the full size ones of other netbooks like the Toshiba mini NB205 and Samsung N120 (12GBK), their decorative patterns are years old, and the mouse buttons are bound like wings to the sides of the touchpad. The HP Mini 5101 is much improved version over HP's previous netbooks, but you'll have to pay extra for many of its fringe benefits—if they become available.